Hawkwind, those warriors of space and time, return to the fray with their thirty-first studio album. 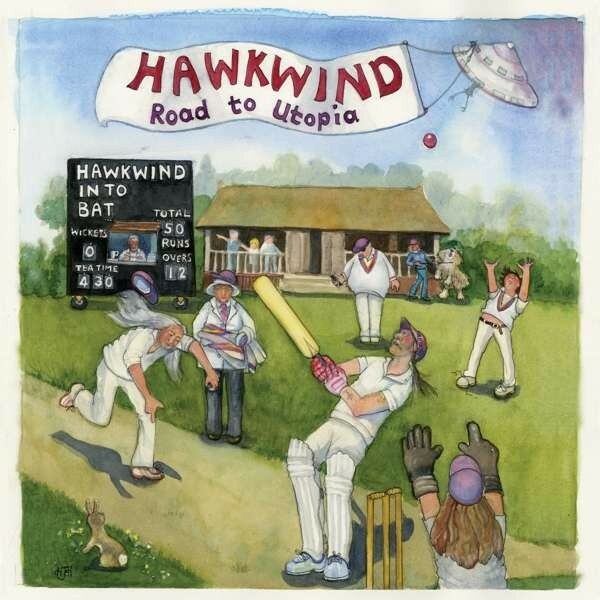 However, this time it's a little different and not just with the album cover which depicts Dave Brock and fellow band members playing cricket; although the scoreboard does give a clue with "Hawkwind in to Bat(t)". Yes, the band have teamed up with song-writer and conductor Mike Batt (don't mention The Wombles!) to recreate a selection of their songs, but this time adding some of his magical orchestral ingredients along the way. Starting off, perhaps unsurprisingly, with 'Quarks, Strangeness And Charm', their much-celebrated classic takes on a whole new life here where the world of distorted guitars and synthesised space noises merge with a trumpet-filled orchestra straight from the Mexican border! 'The Watcher', meanwhile, gets a heavy dose of Blues piano and tasty guitar licks courtesy of none other than "Mr. Bluesman" himself, Eric Clapton, which makes this track a bit special. A real air of acoustic majesty gets introduced into 'We Took The Wrong Steps Years Ago', and in doing so, it turns a good piece into a brilliant one. 'Flying Doctor' encompasses a melting pot of madness with large portions of Spanish guitar and seventies orchestral parts added on top of the already zany lyrical content. Sanity is (partially) restored with 'Psychic Power' where the big band beefs up this acoustic version. Hawkwind have aged like a good wine; early on they were peppy and exuberant, but now they've evolved into an efficient, chilled affair which still has bite. Violins introduce 'The Age Of The Micro Man' and the arrangement gives the track something of a David Bowie 'Space Oddity' style to it. A slow building, heavily delayed acoustic guitar starts 'Intro The Night' with violins coming in before the full orchestra and band enter the fray as the track morphs into 'Down Through The Night', which is both the last track to be found here and also the best as it showcases how an electric guitar sound can soar and become one with the beauty of a traditional orchestra – it's pure genius! 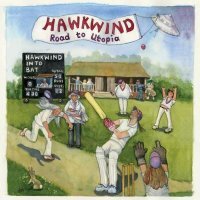 What is contained here isn't world-changing, but it does show Hawkwind's back catalogue in a different light. It may be retrospective in many respects, but there's no sign of a 'Silver Machine' here whatsoever and it's no lesser a product because of it.